Chargeback Rates. What is Normal and Why Does it Matter? If you’re a merchant who accepts credit cards, you probably already know the effect that chargeback numbers can have on your business. A high chargeback rate can upset your cash flow, limit your options for accepting payment, and overall wreak havoc with your bottom line. But what constitutes a “high” rate? As a rule, the standard industry maximum is 1% of monthly transactions. There are exceptions, of course, but normally, a rate below 1% is deemed acceptable; anything above that is considered excessive. But who decided on that number? And do you, as a merchant, have any say-so here? Before we answer these questions, let’s step back and take a look at the process as a whole. Credit card chargebacks were originally invented as a consumer protection, and in that arena they work fairly well. People learned how to abuse the system, however, and this so-called “friendly fraud” now accounts for as much as 70% or more of all credit card fraud occurring today. Each chargeback costs the merchant, who often ends up losing goods and paying hefty fees. Collectively, the chargebacks can cut even deeper: if the ratio of chargebacks-to-transactions—or chargeback rate—becomes excessive, fees and penalties can go through the roof, and merchants may lose card-processing privileges all together. In a perfect world, a "normal" chargeback rate would be close to zero. As it is, trying to pin down a normal rate is close to impossible: variables, from sales history to type of industry, can affect how common a chargeback is. This "apples-to-oranges" comparison is why it's easier to look at a standard maximum rate, which works across verticals. Those are the easy answers, but it's not quite that cut-and-dry. Each of the card schemes imposes their own maximum chargeback rate, known as a chargeback threshold. The standard chargeback threshold is 1% of transactions in most cases. However, deciding how the chargeback rate is calculated—and how close to the maximum a merchant can get—is up to the individual card schemes and acquirers. This can cause confusion, since even within these limited parameters, there can be substantial deviation. For example, let's compare Mastercard’s method of calculating chargeback rates to that of Visa. Both networks use a simple math equation: take the total number of chargebacks received in a month, then divide that by total number of transactions. Note that each network only cares about its own card. Visa, in this case, is only counting Visa transactions and chargebacks from Visa cards. Also, only first chargebacks matter here; second chargebacks (called pre-arbitration chargebacks or an arbitration chargeback, depending on the card brand) won't affect your chargeback rate. With both Visa and Mastercard—just about any card scheme, in fact—the network associations will get directly involved if the chargeback-to-transaction ratio becomes unacceptably high. So the big question is, at what point does a rate become “unacceptable”? Again, one percent--or one chargeback per 100 successful orders--is the industry standard, but it’s a maximum—not a good average to shoot for. History: A processor or network might look at your record. The more months you have with a low chargeback rate, the greater the odds they'll let a bad month slide here or there. Volume: How many transactions you have in a normal month could matter, too. If you’re only handling a few hundred transactions, even one extra chargeback could conceivably put you over the limit for that month. Some processors might take that into consideration. None of that is certain, however. Bottom line: the card schemes want proportionate rates, the lower the better. If your chargeback-to-transaction ratio sits at or above the 1% mark month after month, credit card companies will label you a high-risk merchant and require you to join a chargeback monitoring program. Mastercard’s 2-tiered Excessive Chargeback Program, for instance, requires each acquiring bank to submit a monthly report that outlines the activity of listed merchant. Mastercard charges between $50 and $300 for each report the bank is required to send. The cost of not filing the reports is even worse, with penalties running as high as $1000 a day per report. Visa’s Chargeback Monitoring Program is similar, but adds a separate category for international merchants. Visa charges up to $100 per chargeback for high-risk merchants. These fees are levied against the acquiring bank, who will naturally pass the costs on to the merchant, along with a healthy markup. The merchant’s monthly Excessive Chargeback Program expenses can add up in a hurry. So why don't more merchants dispute chargebacks, particularly ones they know they are fraudulent? Chargeback management is a time consuming and expensive process for everyone involved, including the banks and networks. The chargeback monitoring programs implemented by Mastercard and Visa were intended as a chargeback determent for merchants. 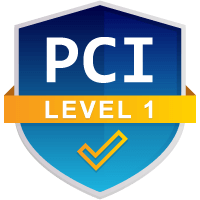 The acquiring bank is the merchant’s representative in card networks’ associations (or card schemes) like Visa or Mastercard. As an association member, an acquiring bank can process payment card transactions on the merchants’ behalf. By the same token, the acquirer can be penalized for the merchant’s actions. Chargeback rates are a perfect example: card networks carefully monitor chargeback activity for all merchants that accept their payment cards. If a merchant shows too many chargebacks, a network could fine the acquiring bank (who of course passes those extra fees straight along to the merchant). It's in the acquirers' best interests to handle high-chargeback merchants before the card schemes feel the need to get involved. Failing to notify the networks of the merchant’s activity can result in major fines. As we pointed out above, Mastercard implements severe fines to any acquirer who fails to send the paperwork requested by the network. 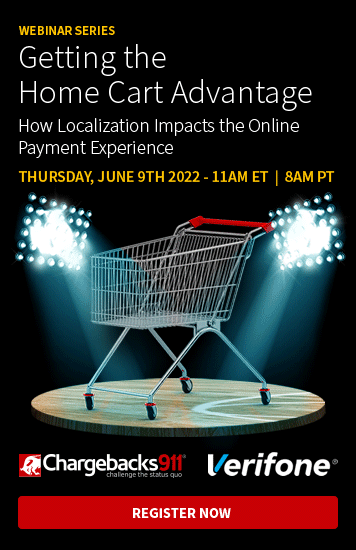 8.6.2.2.2 Late ECM Report Submission AssessmentIf the acquirer or Mastercard determines that a merchant is an ECM and the acquirer fails to submit a timely ECM report to Mastercard for that ECM, Mastercard may assess the acquirer up to USD 500 per day for each of the first 15 days that the ECM report for that an ECM is overdue and up to USD 1,000 per day thereafter until the delinquent ECM report is submitted. Mastercard also calculates the acquirer’s liability for monthly issuer reimbursement fees and assessments that result from merchants with excessive chargebacks. Here's a hypothetical example of fees an acquirer is expected to pay because of a merchant’s poor chargeback management. VisaMerchant Chargeback Monitoring Program (MCMP)First notification of excessive chargebacks for a specific merchant is considered a warning. If actions are not taken with an appropriate period of time to return chargeback rates to acceptable levels, Visa may impose financial penalties on acquirers that fail to reduce excessive merchant-chargeback rates. As noted earlier, acquiring banks will likely try to pass all of these fees along to the merchant. The merchant, however, may be struggling to stay afloat because of decreased revenue and extreme chargeback fees. In that case, it’s doubtful the bank will be able to recoup its chargeback losses. From that perspective, it's not hard to see why acquirers feel it's easier (and less expensive) to simply terminate the merchant account of any business experiencing high chargeback rates. For the bank, it makes good business sense; for the merchant, however, it can be devastating. When a merchant’s bank account is closed, the business loses the ability to process credit card transactions and is placed in the Terminated Merchant File for a minimum of five years. For a merchant with a high chargeback rate who still needs to process credit cards, the only alternative is to secure a high-risk merchant account. Even if an account isn't closed, an excessive chargeback rate may prompt the acquirer to place a hold on the merchant’s funds. A merchant account reserve can severely restrict the business’s access to needed operating capital. In some cases, a merchant may try to dispute a chargeback and recoup the original profits … but at that point, the damage has been done. The chargeback rate is calculated using the total number of chargebacks, not just the ones unsuccessfully disputed. That’s why it's crucial for merchants to prevent chargebacks in the first place. Again, acquirers might be a little lenient, letting chargeback rates fluctuate month to month … but that's a longshot, and not any type of long-term plan. Merchants need to implement a detailed prevention strategy that addresses the top three chargeback reasons: merchant error, criminal fraud, and chargeback fraud. If you're worried about your high chargeback rate, talk to us. 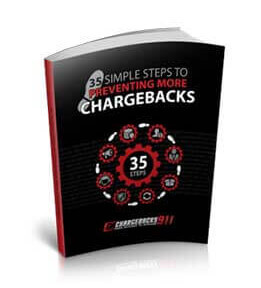 Chargebacks911® specializes in helping merchants who are in danger of losing their credit card processing ability due to excessive chargebacks.